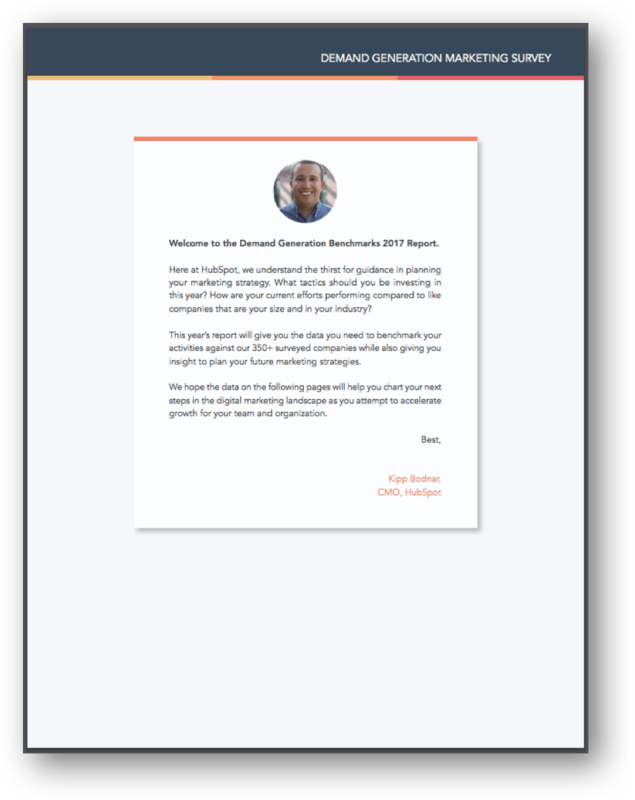 Join thousands of marketers who have already downloaded this guide. 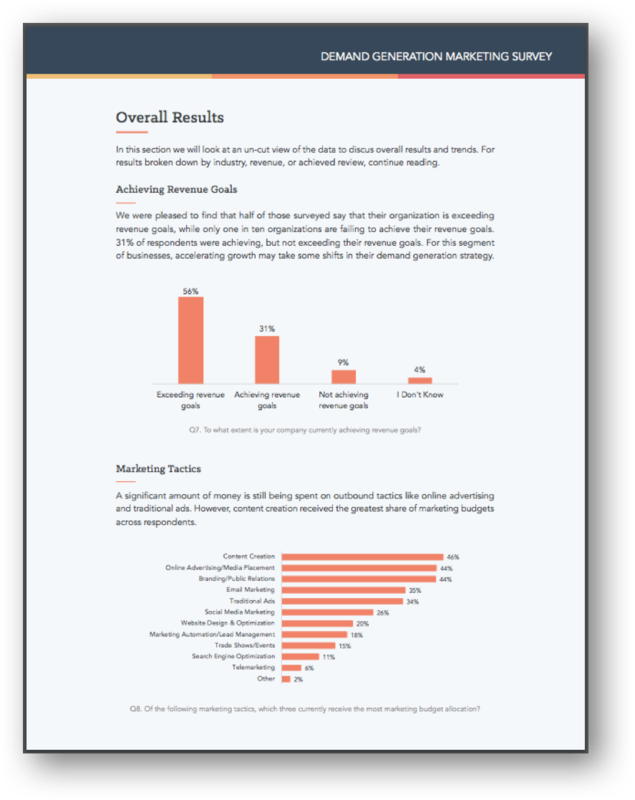 We've surveyed hundreds of marketers on everything from website to email performance and everything in between. Here's what they said. 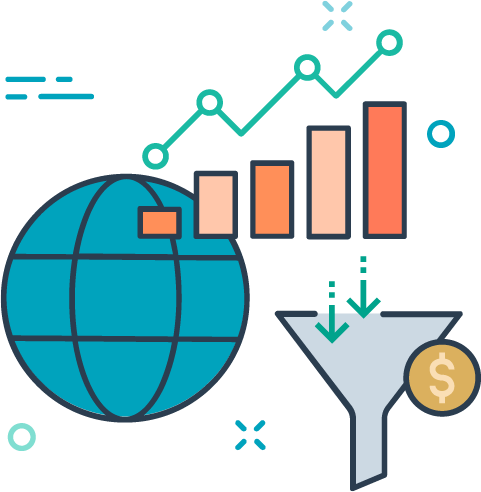 Within the ever-changing digital space, it's absolutely critical to benchmark your growth against others within your competitive landscape. That said, taking a peek behind the curtain of other businesses isn't always so easy. That's why we surveyed hundreds of marketers across companies of all types and sizes to help you understand where you stack-up. 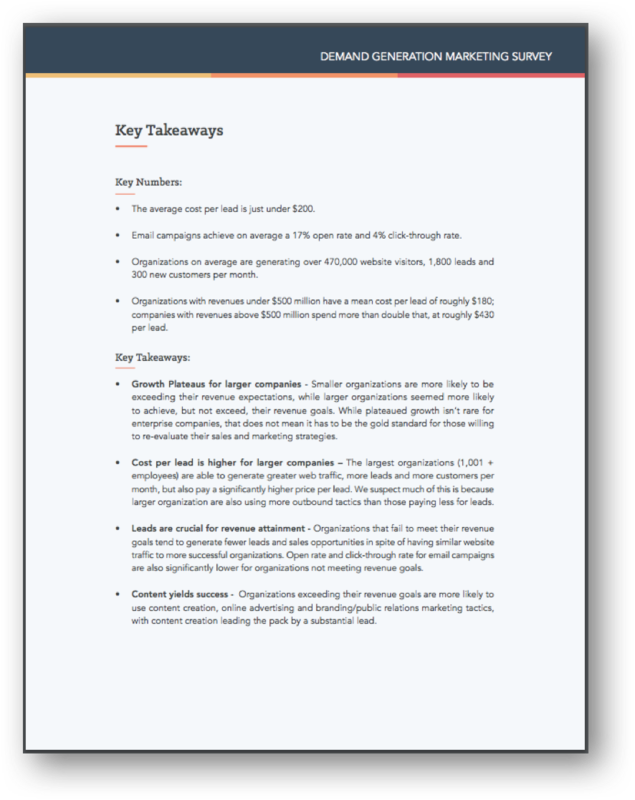 For this year's report, we focused on KPIs around revenue attainment, email and web performance, cost per lead, popular marketing tactics, and more. 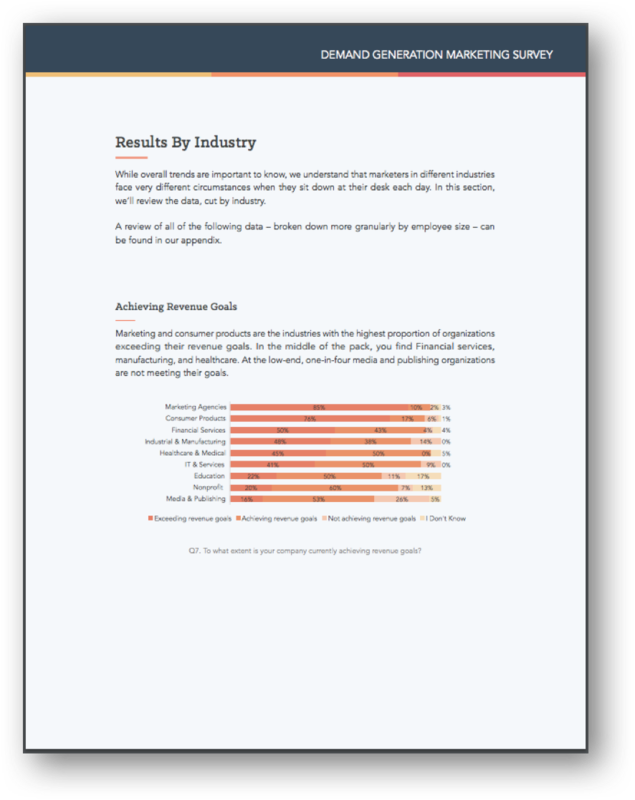 In order to help you glean actionable takeaways from the report, we sliced report data by industry and company size, along with providing a brief analysis and key takeaways for each stat We hope it helps you better inform your marketing this year.